Grain, Feed and Bakery Containers | Remcon Plastics, Inc.
Dry and handle pasta, grains, and bakery items with economical, long-lasting Remcon solutions. Our TR bins are some of the longest lasting, most durable polyethylene material handling bins in the industry. Our most economical 2-way forklift entry bin, their one-piece construction with integral two-way pallet helps keep up-front costs down. 100% FDA-compliant virgin polyethylene construction adds impact resistance for maximum strength. The smooth interior surfaces are easy to clean and allow for fast material transfer. 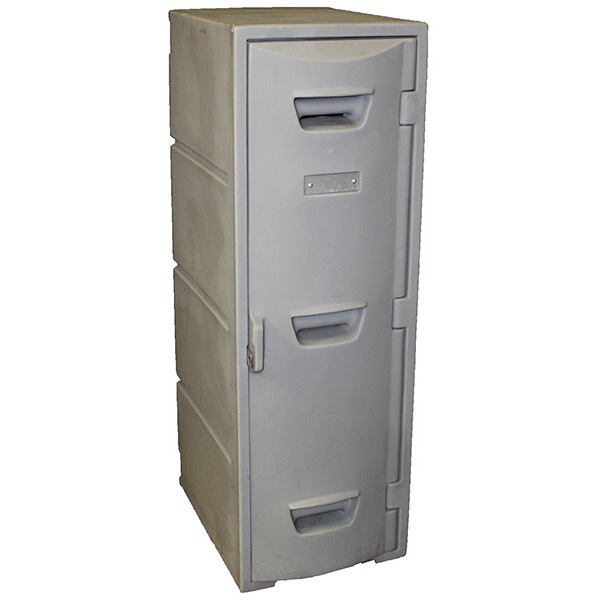 Our durable FD totes are built tough to last long and transfer materials quickly and effectively. The hopper on these units have a 30-degree slope which allows for easy and complete discharge of dry or pre-wrapped bulk solids. Units fill from the top, discharge from the bottom, and the smooth interior surfaces allow for fast material transfer and easy cleaning. They are ideal for drying and dispensing pasta or other bakery items. See more solutions for the grain, feed, and bakery industry below. In 1987 Remcon introduced a square drum for handling dry ingredients. Remcon recognized that round containers do not make efficient use of floor space. By making a square drum the customer gained 20% more storage in the same floor space. Miguel (we just call him Mickey) specializes in maintenance, but he’s always willing to help out on the floor wherever he’s needed. Which really makes Mickey a can-do guy coworkers can count on. He says that it’s important to him to enjoy what he’s doing for a living. That must mean he loves working at Remcon, because he’s been with us for 16 years and counting. Thanks, Mickey, we really like you (and your charming personality), too.